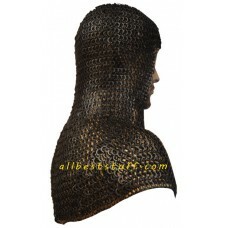 Every warrior knows the importance of winning a battle and so do we the in protecting a fighter's head. 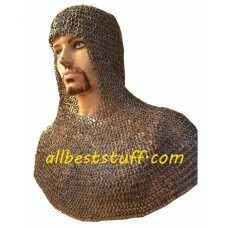 Comfortably fits most of the head size including balaclava / padding. 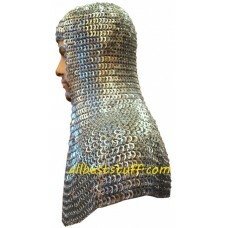 If you have an extra large head size / padding OR looking for smaller version kids maille coif, mention it in the order detail section while checkout OR send us an email at "contact@allbeststuff.com" we will be happy to make required modifications to your order. 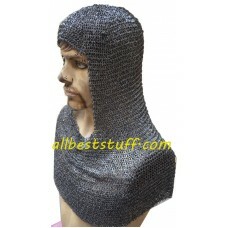 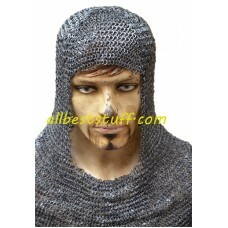 Our chain mail hoods have lot of offer as not only it we produce large flair across the shoulder, our focus is on giving full protection till the forehead. 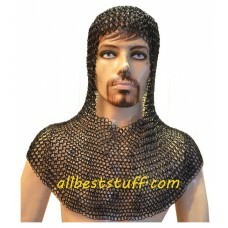 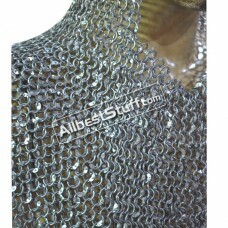 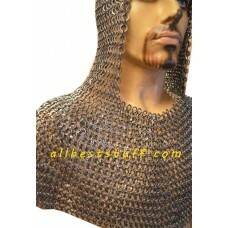 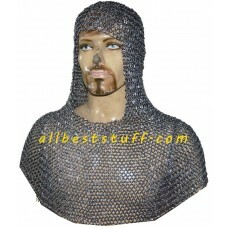 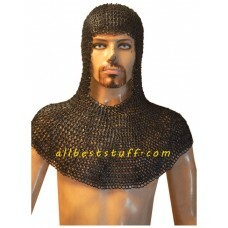 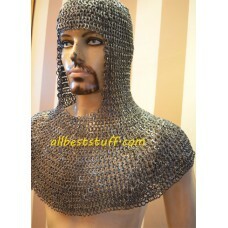 This is our exclusive Chain Mail Coif section with a huge variety available in different ring type and size. 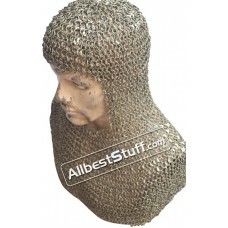 A must for protection of head from hard blows during fighting. 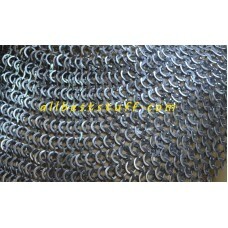 We produce all possible rings combinations from heavy to lighter gauge suitable for half or full contact fighting in different designs. 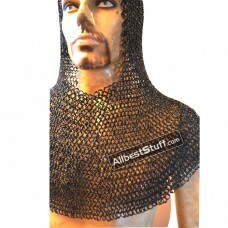 If you are the leader of your SCA group or just looking for something unique you have come to the right shop, we will be happy to assist with a custom made order just for you. 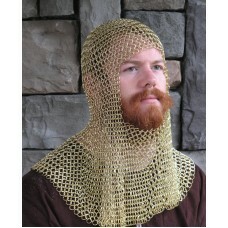 A quick list of available Material we use for our Chain Mail Hoods. 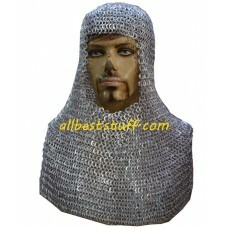 We can make any customization to your coif, just share a picture or schematic and we will do the rest, we offer wide range of ring type to choose from 16 to 18 gauge ring thickness & to 6 to 10 mm inner circumference of the ring. 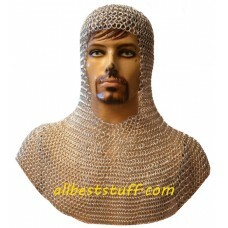 The customization does not end here. 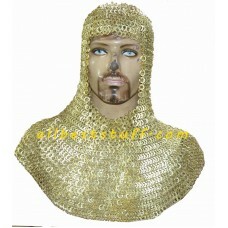 You can add face protections (Ventail), Brass Trims, Leather Edgings & required finish to any of the hoods listed for sale. 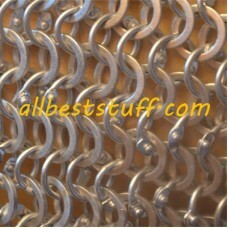 Key Features:Ring Size:18 Gauge 8 MM, One Flat Dom..
Key Features:Ring Size: 16 Gauge 8 MM Weave T..
Key Features:Ring Size:18 Gauge 9 MM, All Rings ar..
Key Features:Ring Size:16 Gauge 9 MM, All Rin..
Key Features:Ring Size:16 Gauge 10 MMWeave Type: E..
Key Features:Ring Size:16 Gauge 10 MMWeave Ty..
Key Features:Ring Size:17 Gauge 9 MMWeave Type: Eu..